We got a chance to catch up with Jonathan Wright, owner of Redbeard Brewing, to hear more about his journey from home brewing to opening Staunton’s first downtown brewery since prohibition. Jon recently received his third loan from SCCF and those loans have helped him to expand his business over the past 5 years. It was actually his entrepreneurial spirit and ancestral influence that led him to become a business owner in downtown Staunton. I decided I wasn’t going to work for other people anymore and that began a long process of finding what it was I was going to do to not work for someone else. Did you always dream of opening Redbread Brewing? It was less of a dream and more of a desire to be self-employed. I decided I wasn’t going to work for other people anymore and that began a long process of finding what it was I was going to do to not work for someone else. After a couple career moves, I became a contract employee for larger companies. It went from that to owning a real estate appraisal business and it was at the tail end of the real estate appraisal business that I realized that was not something I wanted to continue doing into my old age nor was it a legacy business for my kids. What led you to beer brewing? I was home-brewing in Richmond and got really good responses to the beer that I was making. I sat down and figured out that in the amount of time I was taking to brew 5 gallons of beer, I could brew 55 gallons of beer. It was just a matter of buying bigger equipment and more ingredients, so that’s what I did. As a home-brewer, I went out and bought the equipment that we are brewing the beer with now. It was far less complicated back then than it is now, but I was using this same equipment and brewing in the back yard of my house on Church St in Staunton for over a year. I knew I need some time to tweak things to make sure I was getting it right, and most of the time I have done it right. You mentioned you were home-brewing in Richmond, what brought you to Staunton? We moved from Richmond to Staunton when we found out my wife was pregnant with our second child. As a previous Staunton resident, we knew the cost of living was cheaper here and that I could continue my real estate appraisal business. I commuted to Richmond and Charlottesville to continue my appraisal work and never really got into doing real estate appraisal here because I didn’t really know the market well. It was after the move here that I started poking around in commercial property available for lease. Tell me more about 120 S. Lewis Street. We ended up here in Staunton and I had originally looked at the back door butcher space at the end of this building, but I wasn’t quite ready yet. Once I was ready, this space was available and I took it over and started operating here as a tenant. We remained a tenant for about 3 years so we started looking at options for either relocating or purchasing the building. After some good research I found that I had a great location and great parking. My know how in the real estate appraisal business led me to purchasing the building and now we are working on plans for building improvements. What are your plans for building improvements? The building takes up half a city block; that’s a lot of responsibility and our intention is to be good stewards of the property. We have a master plan drawn up, but we need the city’s help to make it happen. We want to expand the current tap room and expand the brewing area with the new equipment that we are purchasing. We also hope to add an outdoor patio area, if we get the zoning we need from the city. The small loans that were available from you guys aligned with the type of spending that I prefer. The $20,000 loan that I just got is going towards $12,000 worth of brew kettles, $2,500 pump, 6,000 fermenter, and all the bits and pieces to make it work. We want to make sure we are producing high quality beer. I have been frugal with my spending and the market has been influencing the baby steps I have been taking to grow the brewery. Thanks to small loans and good cash management, we are able to grow the brewery at a very fast rate. We are up 36% year over year in sales and that was during the slowest quarter of the year. At the end of the day, I’m not here to sell kegs of beer to local restaurants, I here for this [small batch brewing]. I would like it if I managed this in a way that my kids could be running it in 50 years, that I would be employ residents of Staunton and Augusta County 50 years from now, and that I would be providing a place that improved my community. 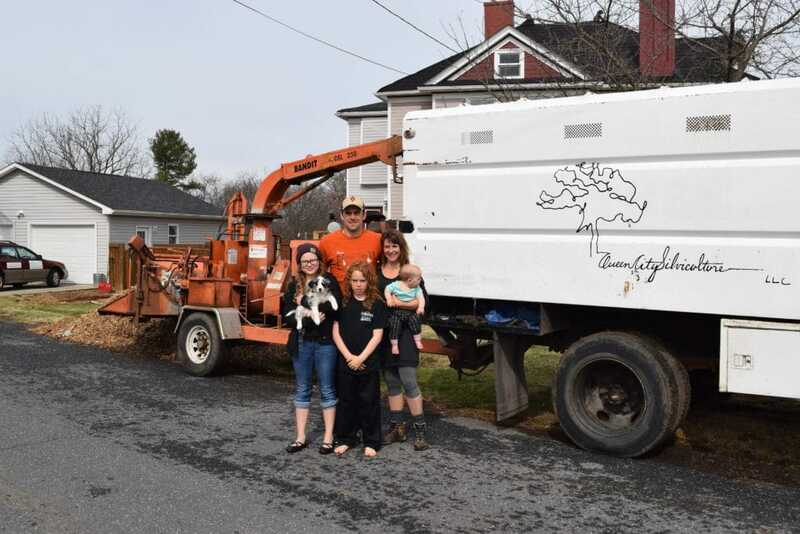 Previous post Catching up with Queen City Silviculture owner, Jason and Danielle LaRose. Next post Looking to Invest? Go Local!